A new alert just in from the Centers for Disease Control and Prevention (CDC) cautions hospitals to be on guard for a sinister strain of bacteria that is mightier than any antibiotic. This ominous bacterium preys on the weak and kills up to half of its victims. It goes by the name of carbapenem-resistant Enterobacteriaceae, or CRE for short. 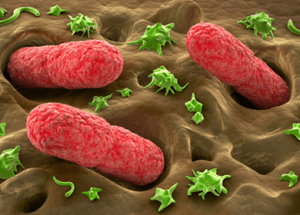 Other members of the same Enterobacteriaceae family include Klebsiella species and Escherichia coli (E. coli), which are bacteria normally, found in the digestive system that can become carbapenem-resistant. People who are healthy are not generally at risk for CRE infections; however, CRE infections can occur in places where people are receiving medical treatment for other conditions. The group most susceptible includes those who are on ventilators or using bladder or intravenous catheters. In addition, patients who are on long-term antibiotic use are also at risk. This dangerous superbug has been steadily on the rise over the past decade and as it marches on it laughs in the face of even the most potent antibiotics. The CRE bacteria are so threatening that they are now being referred to as “nightmare bacteria.” Their power is threefold and includes their resistance to any antibiotics, their ability to pass this resistance to other bacteria and the deadly nature of the infection they promote. In the first half of 2012 more than 200 health care facilities in America treated patients with CRE. The big fear is that these infections brought on by the CRE’s will start to seep out of hospitals into surrounding communities. Containment is a top priority of hospitals across the country at this time. Hospitals and healthcare facilities are being encouraged to test patients for the bug and isolate them immediately. All tools and equipment must be sterilized, and visitors are urged to follow strict hygiene rules. Antibiotic resistance is, according to the CDC, a leading world health problem. Doctors first began to notice resistance problems almost a decade ago when kids with middle-ear infections stopped responding to the drugs they were being given. Penicillin has also become less effective over time, in addition to a new strain of staph bacteria that does not respond to antibiotics at all. So, what exactly causes an antibiotic to become resistant? One reason has to do with the fact that people are taking antibiotics for viruses, which is utterly ineffective. Antibiotics are meant to fight bacteria, not viruses, and this means they are not going to help you if you have a sore throat (not from strep), bronchitis, runny nose or the flu. Physicians who just arbitrarily prescribe antibiotics without first confirming an infection are contributing to the resistance problem. According to the CDC, more than 10 million courses of antibiotics are given each year for non-infectious conditions. In addition, if you have been given a course of antibiotics and do not finish it you leave room for leftover bacteria in your system to become resistant to future antibiotic use. It is not just human use of antibiotics that are contributing to the resistance problem. The industrialized meat and poultry industry uses antibiotics to promote growth and ward off disease due to unsanitary living conditions. Over 70% of antibiotics are used as food additives and are given to healthy animals. These antibiotics make their way into local water supplies via animal excrement and also into the food chain. It should be noted that both agribusiness leaders and the pharmaceutical industry are fighting vehemently against any measures to control antibiotic use in agriculture at this time. These are scary times indeed that require consumer awareness and education, stricter restrictions with regards to antibiotic use and an increased emphasis on preventative health measures. Previous articlePurslane: Frustrating Weed or Melatonin Powerhouse? Hey Buddy!, I found this information for you: "Nightmare Bacteria Laughs in the Face of Antibiotics". Here is the website link: https://www.thealternativedaily.com/nightmare-bacteria-laughs-in-the-face-of-antibiotics/. Thank you.